Discussion in 'iPhone and iPad Games' started by JacekS, Jun 5, 2016. Hi, we are Home Net Games, small 2 persons team. 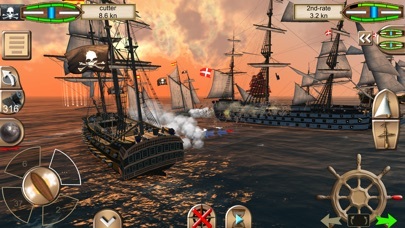 We want to introduce you our game: "The Pirate: Caribbean Hunt". 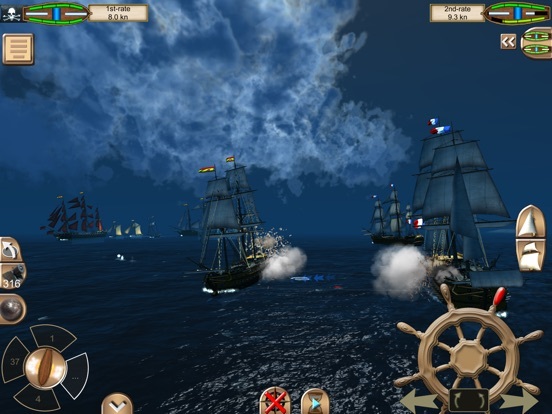 It is piracy game like those which you can remember from old good times, but with decent 3D graphics and many interesting features. It already attracted over 1 million players on Android and gained mostly positive reviews. It is free, obviously with Ads and IAPs, but I think ads are not so annoying and IAPs are optional, most people enjoy game without it. Game is already available on Android and Windows Store (and soon on Mac) and thanks to Cloud saves option you can start game on you iPhone, then continue on Windows PC or Android tablet. With multiplayer option, you can compete other players in PVP mode, or cooperate with them against AI's in PvE mode. Grats on the release (just posted a few pics on Twitter as @leemobilegame). 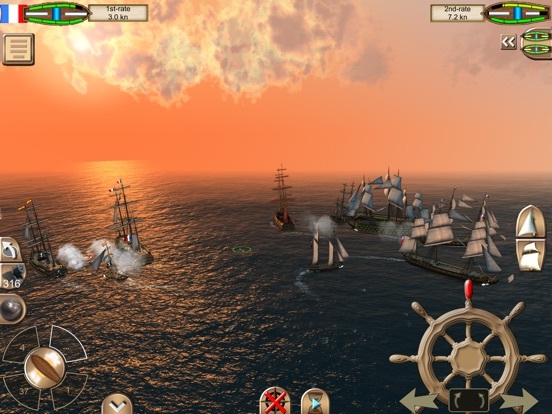 Seems like a good mix of Assassin's Creed Pirates and Sid M's classic. I wish there was a few animations on crew, but I guess as a two man team ressources were limited enough, other than that it seems like a really great pirate game so far. I can't believe you were able to create this with just a two-person development team. How long did this take to make? The music is great and the graphics are beautiful. I'm still not sure I'm doing the right things in the game (for example, my ship just stopped when chasing another ship - perhaps I was trying to go against the wind? ), but I'll definitely keep trying. can't believe too!!! this game is OUTSTANDING!!! 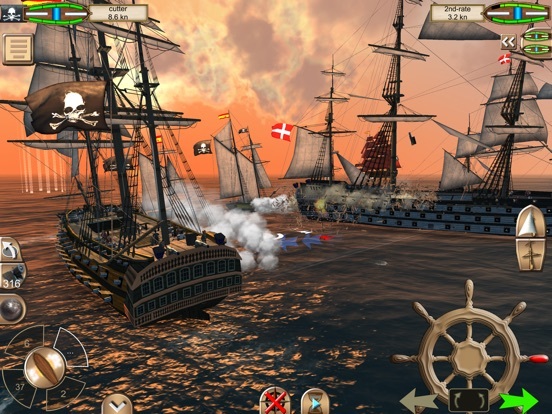 adjustable resolution, great 3D graphics, all Caribbean area, a lot of ships, included the most iconic ones in those decades (ok, the Black Pearl is a bonus ), real shipping movements (not arcade ones), battles in the high sea or by attacking forts and cities, trading... a lot of things to do in only 120mb installed!?!?!?! can't believe to my eyes! hey devs, congrats for the game, it's brilliant, where are you from? Yep, I third that.. Beautiful and interesting game thus far..
have you got a ride in "open world" mode? 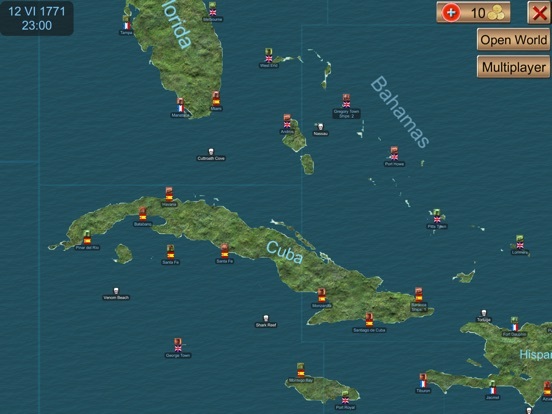 it is fantastic, you can navigate coasting beaches and vegetation expanses for hours, in real time, and spending the night sailing... not to mention the delight that you feel using the spyglass on coasts or on ships in the distance trying to figure out which flag is waving on them, the approximate distance and the direction. i have only one thing unclear, how to unlock map sectors over the starting one. Hi guys, Thanks for warm welcome Nice to know that you like our game. About half year for launch version which started on Android in January. Since then, we are extending game with new features. Moreover, most of work was done by my colleague, I did only some programming. 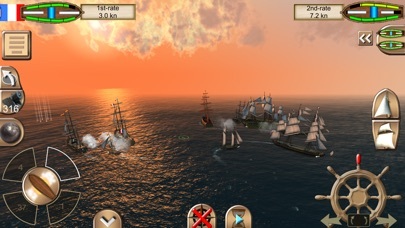 for example, my ship just stopped when chasing another ship - perhaps I was trying to go against the wind? Yes, you can't sail against wind, observe wind direction arrow, when you stand agains wind red triangle texture on sea shows your "dead wind angle". a lot of things to do in only 120mb installed!?!?!?! For example islands and plants on it are generated procedurally, ships are composed of common smaller parts etc. Partially answer for it is below - we are making games since 20 years, started in era of floppy. We are from Poland, beeing in game dev for long time - about 20 yrs - we spend most of this time making PC/consoles games - titles like Earth 2140/2150/2160, Two Worlds 1/2. Some time ago we started to do mobiles. You can buy new maps from Game menu -> Shop -> first item in shop. It is not IAP, you pay for maps by gold earned in game. So is this a living world with other players ships going about their business... Kind of like a pirate MMO? No, most of all it is singleplayer. 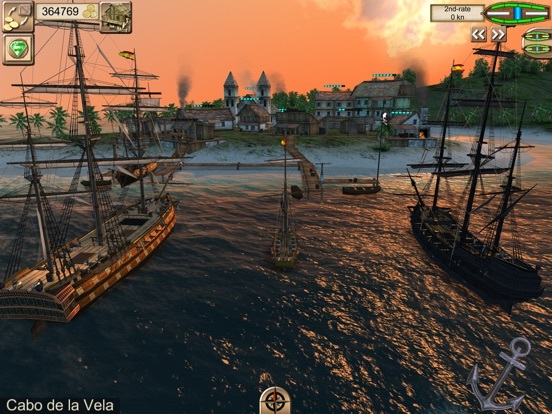 You build up your piracy business there: complete missions of various kind, buy or capture and then upgrade your ships, attack and capture other towns, gain gold by doing trading goods between towns ... and many more. 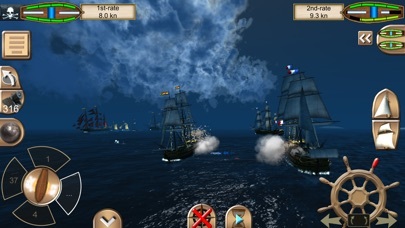 Multiplayer part is simple, you choose one of your ships which you develop in singleplayer mode and you can compete other players in 1on1 or 2on2 PvP or 2on2 or 4on4 players against enemy. You can't trade with other players, you just have fun trying to sink tem. hey Jacek, first of all thanks for your answers here in TA forum. i would like to know how the spyglass work. i.e. 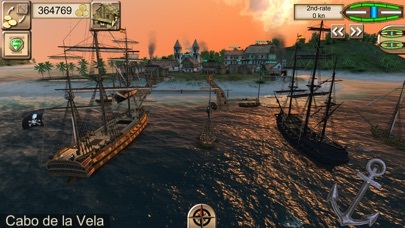 in one of my rides i've sailed in open world mode and could use it tapping the icon on the left (a spyglass icon, to be clear), but most of the time it isn't available, no matter which is the mode i'm playing, i can use it only when a ship pop up on the horizon, and also in that case i don't have any spyglass icon on UI, so in order to switch the view, i can only tap on the ship info in the upper left... looks a bit messy. Indeed this might be confusing. Is it caused by the fact, that initially spyglass was fixed on target, later we've switched to free movement of spyglass. We will fix that in future update. Ohh, I was confused as in app description, it says campaign set in a real world full of people. Also says multiple player held bases. Nope, it means that player can attack and then capture and set bases in multiple towns. Also "people" are contractual - in your base you can build structures which will raise your gold income etc. This game is amazing! Everything I've wanted in a ship/pirate sim. Beautifully done! My only complaint so far is it's too easy to accidentally switch canons when trying to fire. Maybe move the direction buttons farther from the fire button? Man I need to check this out! 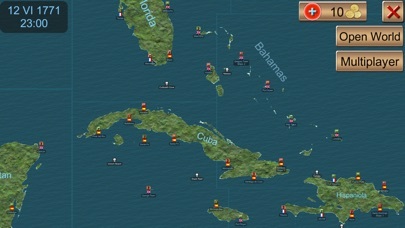 Does this game have iCloud support?